Heated Seats, Trailer Hitch, 4x4, Back-Up Camera, PREMIUM LIGHTING GROUP, TRANSMISSION: 8-SPEED AUTOMATIC (8HP7... Bright White Clear Coat exterior, Big Horn/Lone Star trim. EPA 24 MPG Hwy/19 MPG City! SEE MORE! ======KEY FEATURES INCLUDE: 4x4, Back-Up Camera. Keyless Entry, Privacy Glass, Child Safety Locks, Electronic Stability Control, Brake Assist. 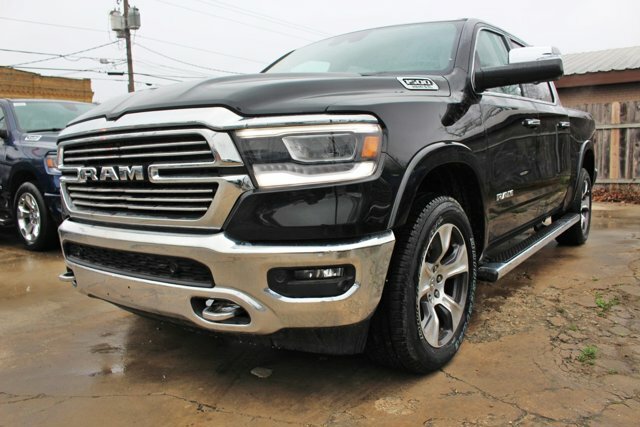 ======OPTION PACKAGES: ENGINE: 5.7L V8 HEMI MDS VVT HEMI badge, dual rear exhaust w/bright tips, GVWR: 7,100 lbs, 180 Amp Alternator, Heavy Duty Engine Cooling, Active Noise Control System, PREMIUM LIGHTING GROUP LED Taillamps, Front LED Fog Lamps, LED Reflector Headlamps, BLIND SPOT & CROSS PATH DETECTION, QUICK ORDER PACKAGE 25Z BIG HORN/LONE STAR Engine: 5.7L V8 HEMI MDS VVT, Transmission: 8-Speed Automatic (8HP75), Steering Wheel Mounted Audio Controls, WHEELS: 20 X 9 ALUMINUM CHROME CLAD, TRANSMISSION: 8-SPEED AUTOMATIC (8HP75), ANTI-SPIN DIFFERENTIAL REAR AXLE, BIG HORN NON-BSG LEVEL 2 GROUP W/MEDIA HUB Rear Window Defroster, Cluster 7.0 TFT Color Display, Power 8-Way Driver Seat, ParkSense Front/Rear Park Assist w/Stop, Rear Power Sliding Window, Sun Visors w/Illuminated Vanity Mirrors, Heated Steering Wheel, Glove Box Lamp, Integrated Center Stack Radio, Class IV Receiver Hitch, Single Disc Remote CD Player, Power 4-Way Driver Lumbar Adjust, 2 USB Full Function/Charge Only Media Hub, Heated Front Seats, Power Adjustable Pedals, Foam Bottle Insert (Door Trim Panel), Google Android Auto, Dampened Tailgate, For More Info, Call 800-643-2112, Exterior Mirrors Courtesy Lamps, Auto Dim Exterior Driver Mirror, 1-Year SiriusXM Radio Service, Radio: Uconnect 4 w/8.4 Display, Big Horn IP Badge, Exterior Mirrors w/Supplemental Signals, SiriusXM Satellite. ======EXPERTS RAVE: Great Gas Mileage: 24 MPG Hwy. Please confirm the accuracy of the included equipment by calling us prior to purchase.